I just survived a pulmonary embolism. I feel blessed and give thanks to God to be alive. Through this I have gained a whole new perspective on health and living. There is nothing like lessons learned from life experience. This experience is now part of my resume. This post includes a few things I have discovered. What Happened: Being in overall good health, two weeks ago I began my usual spring clean-up. After sweeping in a very dusty area (without a mask), I developed some chest tightness and had difficulty breathing. There was no particular strain from working that day. A few days later I was bending over on another project without stretching or giving the back enough relief and this resulted in significant lower back pain. At the time I was convinced the problem was muscular. The back pain and breathing difficulties led to a decision to sleep in a lounge chair for a few nights and this actually seemed to help. Both the back pain and breathing completely subsided. I thought I was out of the woods until Thursday, April 9th when I woke with a sharp pain in my right leg. Thinking there might be a muscular connect from the earlier back strain, I did not go to emergency until Saturday morning. After numerous tests it was discovered that I had a nasty leg clot that had broken off and gone to both lungs. I spent the next three days in the hospital and was put on IV blood thinners. Though multiple lung clots were diagnosed it was determined that I would not need surgery. Further tests have indicated that my health is otherwise good and that I should recover. I continue to have leg pain and it will take a while for the big clot to dissolve. Though some people heard about this earlier and have been supportive in prayer, visits and calls; I am writing now because I felt up to it and because today’s CT scan was quite promising with good news. I would appreciate your prayers as I heal and move forward. 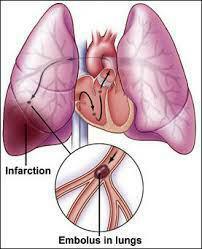 I am alert to stories about clots in the lungs like never before. Many people have not survived this and I am most grateful that I did. A person needs to know enough about areas where they are vulnerable. Life is certainly in the blood and it needs to flow. People love and care for me and really want me to stay around. God has a destiny for every one of us. He has more for me. Although this was quite traumatic, I was protected. Since I am trying to learn as much as possible from this, please share any thoughts or advice that you have for me at robclogg Thanks for your friendship and prayers. Having come into this world in 1952, I entertained two ideas about myself from a very early age: the feeling of being “extra,” unnecessary, unwanted, had over-ridden all other emotions since I can remember; the cry of my heart for a man to love me, care about me, accept me … again, ever since I can remember. Graphics-rich edition is online here. This month we have started an initiative to more effectively communicate with the pastors on our mailing list. In 2010 we published, From Pastors to Pastors: Testimonies of Revitalized Ministries. The life stories in this book, which reflect the Holy Spirit’s moving, have been a major source of inspiration. We rejoice to see God continuing to work in the lives of pastors who have developed a relationship with our team. This month’s email will offer a recent glimpse into this. We invite you to check out the links below, pick up our book and give it to your pastor. Consider this book, as a resource to encourage your pastor. What does a pastor do when he encounters difficulties in life, family or ministry? They are often the ones who are supposed to have the answers. Many pastors have plumbed the depth of despair and experienced a journey downward to the cross yet had a breakthrough to live and minister on the resurrection side of the cross for God’s glory. A number of pastors have provided contact information and invite you to relate to them personally that they might give further witness of God’s grace in in their lives and ministry. This book can be ordered at Grace Fellowship’s online store or by calling our toll free number: 1-888-66grace. So, what has God been doing recently? You are also encouraged to check out the ministry of three pastors who have seen the ministry of GFI impact their lives and ministry. You are encouraged to go to the links below and listen to recent messages. Would you consider being a monthly supporter of the ministry? It only takes a short time to set up but is a big help to us. Call the office at 865-429-0450, or click here to donate online. You can imagine the excitement that these first words created. 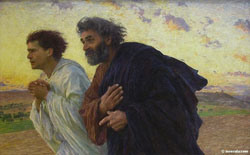 You can see it on the faces of Peter and John running to the tomb in Eugene Burnand’s work. You can see the anticipation in their eyes. Peter with hands held (a different way of running) and John with hand on chest, are completely mesmerized. Take time to interpret this beautiful picture for yourself. I went to see this picture at the Musee d’Orsay in Paris. Of all the great works in the museum this was the one I wanted to see the most. I’m not one to stand in front of a piece of art for an hour; so ten minutes was a long time for me. I wanted to see it with my own eyes, be captured by it and now it is in my memory. I get excited for you as I write this post. I hope that you will be captured not just by this beautiful art but by the message it brings: that we have the highest and greatest hope of eternal life. There are some things in life you need to be certain about. When I studied theology I was informed there were essentials and non-essentials. Hope of the resurrection in Christ is the ultimate essential. If Christ is not raised our preaching is in vain and our faith is worthless. 1 Corinthians 15: 14, 17. The word “hope” for many people is something they wish will happen. Many people have an uncertain view or an unsure optimism kind of hope. The Bible speaks about hope only in terms that are certain. I can’t expect others to believe like me but this post reflects my hope. I remember how the Easter service would begin. The rest of the service would have a triumphal feel as I anticipated certain songs that had significant meaning for me. Once again, what is significant for me may not be the same for you, but this post reflects what is significant to me. The significance of the Easter story has been expanded since my childhood and it means more than a special day of the year and more than memorable songs. The Easter message has filled my whole being with a message that has brought thanks, praise and worship to God and freedom, peace, identity and purpose for me that I otherwise would have never known. There was a time when I knew that Christ died for me. I knew that was a significant part of the Easter message. I knew that was important. I knew I had sinned and through the death of Christ, the God of all grace would forgive me and cleanse me. But there was another part I discovered years later. Later I discovered what is stated many times in the Word; “I have been crucified with Christ”. Galatians 2:20 I came to believe this too. Believing this saved me from trying to measure up, trying to be good enough and set into motion the real potential for me to rest. This was good news because the source of my behavior did not need to be repaired, rehabilitated or rededicated, it needed to have a nail driven through it. I needed a whole new life, new source and new identity, especially one that did not rely on my performance. I could now exchange a life out of my own resources that didn’t work for Christ’s life living through me that could work. My old life needed to die so Christ could live His life through me, so I could start living. Easter has given me such an amazing hope. I have hope to see friends and love ones again. I have hope for my future and for today. The hope I thought was only for the future is a hope I have today. When we receive Christ we enter His eternal life with Him. We enter into all the realities of His life. These are spiritual realities we accept by faith. Because this has already occurred (written in the past tense) we have this certainty. We experience this by believing God made this possible. Christ was raised indeed and so was I. In a world of uncertainty all around me, I have this confidence that God raised me up already and seated me in the most significant place. My spiritual union with Christ has made it possible for me to experience the certainty of this today and for the future. Christ did the hard work on the cross for us. Our hard work is believing this is true in spite of all the ways we may fail, doubt or even harden our heart. I pray that the certainty of the resurrection and God’s word will encourage this in you. “I loved deeper, spoke sweeter and gave forgiveness I’d been denying. and I became a friend, a friend would like to have. I hope you can live like you have died and been raised up with Christ. It makes a difference indeed. 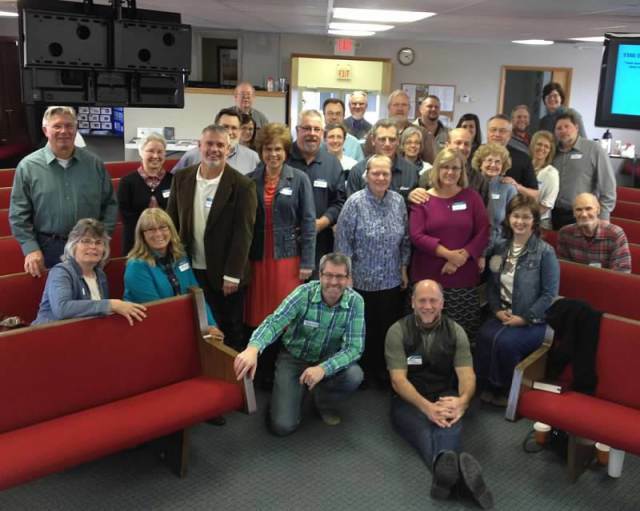 The Lord blessed a GFI Exchanged Life seminar in Bradford, Ohio on March 21st. 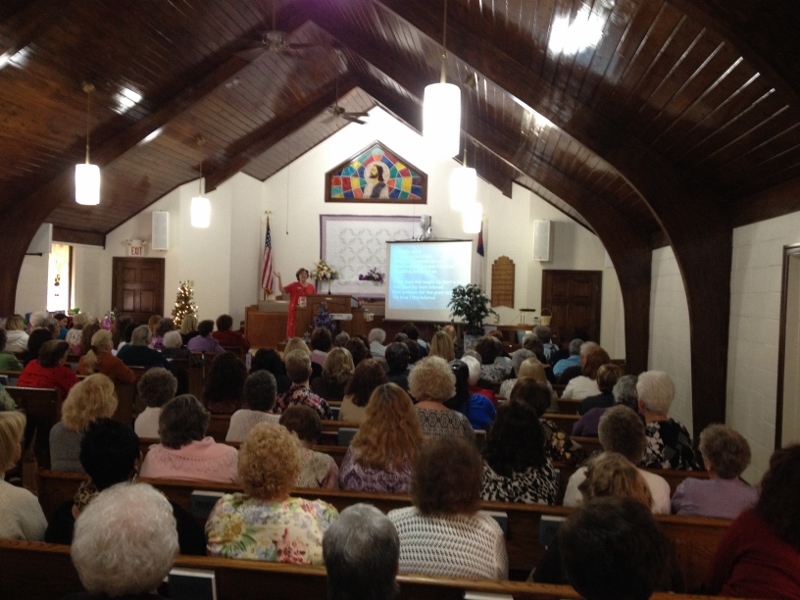 It was hosted by Vineyard Fellowship there. This assembly was birthed through a grace awakening about 7 years ago. John also had a Grace Discipleship discussion with the church leaders. Pray for their continued growth and witness.